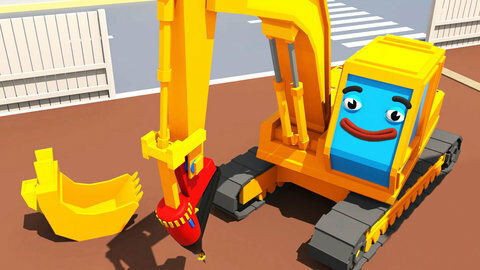 A Yellow Excavator repairs the broken building with the nail gun that it found on the floor in this 3D car cartoon for kids. Suddenly, it heard the Yellow Crane calling for help because it’s wheel got loose. It also met the crazy Race car and the Police car that was chasing after it. If you are interested in more 3D car cartoons that you can watch for free, visit SeeZisKids.com.